I can already tell that is going to be the best headline of the day. I may as well just close this laptop and call it a day. Where do you even go from here? After five thousand years of burial, a Czech Republic caveman has been outed. Scandal! Ancient funeral rites in the area dictate very specific burial direction between genders. The gayvman (See what we did there?) is buried in a manner that suggests his sexual orientation, or perhaps even gender identity fell somewhere in the LGBT spectrum. 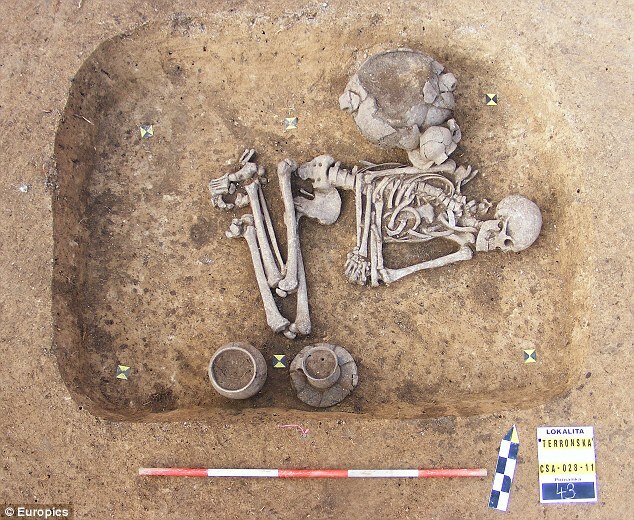 From history and ethnology, we know that people from this period took funeral rites very seriously so it is highly unlikely that this positioning was a mistake,’ said lead researcher Kamila Remisova Vesinova. An oval, egg-shaped container usually associated with female burials was also found at the feet of the skeleton. Well how about that? Other LGBT prehistoric skeletons have been found in previous years. A female skeleton buried with warrior gear suggested she was a lesbian.